I feel like a bit of a yummy mummy type in this outfit but I love it. It's much more weather appropriate and practical than I would normally wear. 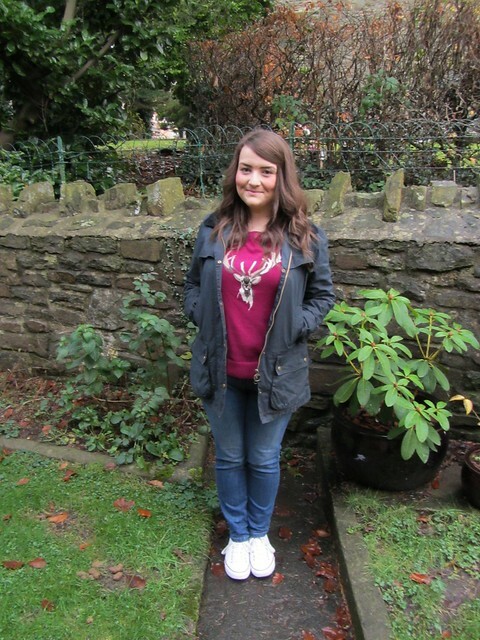 Nice thick and warm jumper with a waterproof coat, the perfect attire for the local town fete which I attended. (Rained the whole time I was there, luckily you could pop inside for tea and cake). The jumper contains a mix of cotton and Angora so it's super soft and I was impressed that the sleeves and body of the jumper were long enough. I hate my stomach poking out when I reach for the top shelf. I've also worn this with a plain white blouse underneath for an extra layer because it's been so cold lately and tucked into a skater skirt so its pretty versatile. I had a hard time choosing this jumper because Joules have so many pretty floral dresses but I've got a wardrobe full of dresses and fancied something a little different. I also think the design is pretty festive. I've had a bery busy week going to both London and Birmingham for blogger events but I will report back on those next week. Hope you're all enjoying the festive period, I've got my first Christmas party next week which I'm looking forward to. This jumper is lovely! Perfect for Christmas! awh the jumper looks so cute on you! The jumper was an amazing choice Gem! Ahh I love the joules jumpers, they look so cosy yet still stylish! They are so soft too! need to handwash them though but they are very ncie. 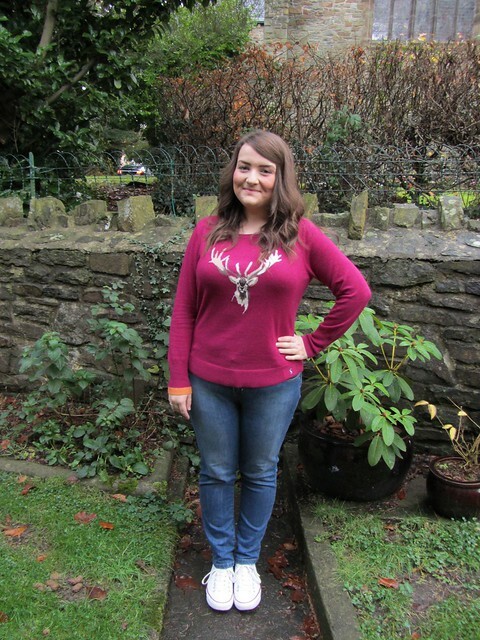 I adore Joules Jumpers you lucky thing! Love this outfit on you, that jumper is such a gorgeous colour!